Interconnection of up to 5 PSE control units to a DME station manage up to 24 tools simultaneously. 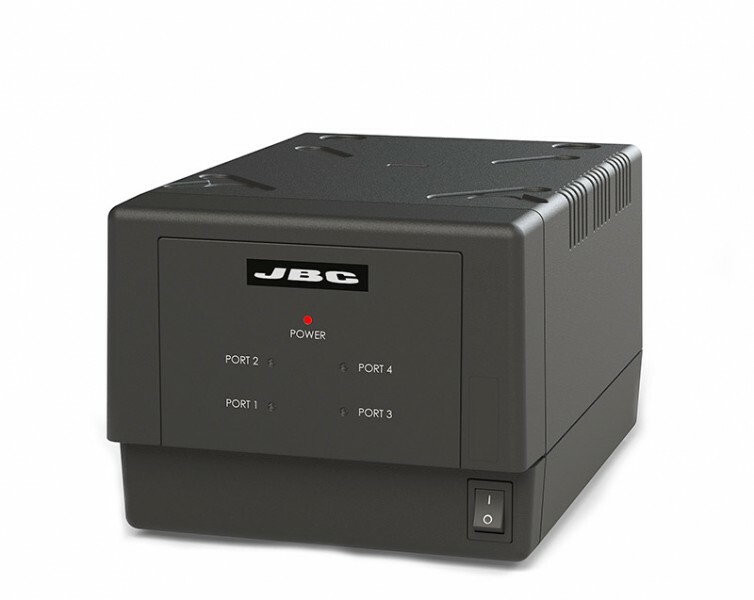 The PSE manages up to 4 tools simultaneously and is fully compatible with 10 different JBC tools. Check below the complete list of compatible tools. The 4 LEDs on the front panel indicate if the ports are connected and the tool status "Work" or "Sleep". It can be easily configured by computer (USB or Ethernet) and you can personalize over 20 parameters which cannot be modified during the work process. You can control up to 5 PSE units in a single DME and work with up to 24 tools simultaneously. You can also manage and monitor the station using a robot system.